Today On The Run #8 – Get your streak on! Still rocking the Runner’s World 40 Days of Awesome Streak. Today is day 18. I’m at 185 miles total. I don’t really need the streak for motivation, but every little bit helps when the weather makes me want to stay in bed more than freeze my face and fingers off running in the dark. The Runner’s World community is pretty amazing. Everybody gets a needed slap on the back. The folks just starting running and struggling to finish 1 mile per day or the folks running marathons (or ultras) already are more or less equal. 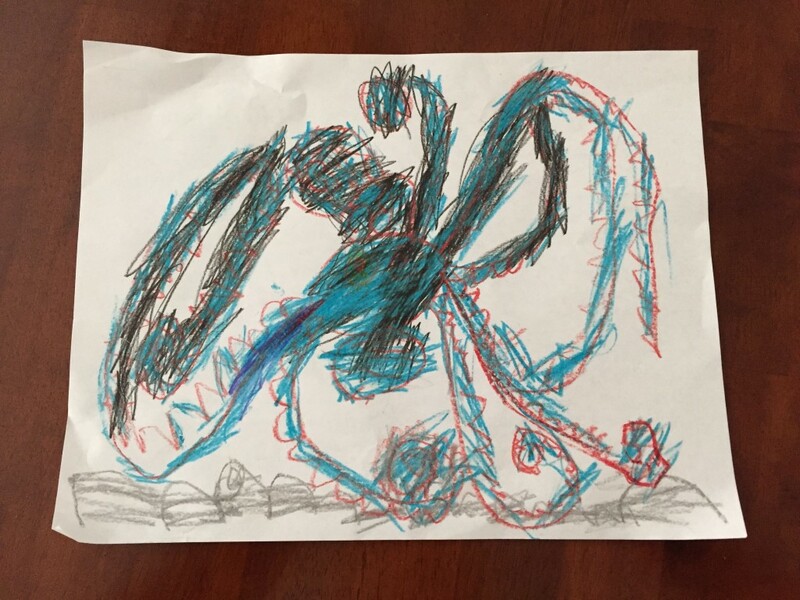 I’m totally inspired by stories of other adult onset runners finding the magic of the run. The folks who do all sorts of crazy stuff to keep their streak going. I’m also humbled by the folks running through real winter, when I all I do is complain constantly about moderate cold in my area. The stories of finishing their first mile without walking, finishing first real race, or getting a new PR by minutes are uplifting. The stories of people breaking their streak due to life events or injury weigh heavy on everyone. The group is there for everyone. The Mrs asked me what I wanted to for xmas. Hmm, replace my dead mp3 player? Another pair of shoes? Better running gloves? Decisions, decisions. I’m really bad about safety gear. I used to wear a safety light, but the last one I had ate batteries so much, I stopped wearing it because it was always dead. The few pieces of running gear that were reflective have long since stopped after about a zillion runs through the washing machine. So I told the Mrs, “I’d like to have a Noxgear Tracer 360 safety light”. I’d seen them go flying through my Facebook feed a few times, but thought at $69, it was a little overpriced. But, during cyberweek deals, it was $25 off and free shipping with Amazon prime. Ok, sign me up. I hate extra gear when I’m running, so finding something comfortable is a challenge. Despite what it may seem, the Tracer is super comfortable. It’s super light and after you get the straps adjusted, it stays put well enough that you can forget you’re wearing it. It is also not self-distracting, even when you put it one flashing or color changing modes. I’ve had it out 4 times now and I’m pretty pleased with it so far. Light output is hasn’t changed after 6 or so hours of run time, so hopefully it won’t require battery changes too often. Battery changes should be less of a hassle; there’s an easy access battery door that holds 3 standard AAA batteries. 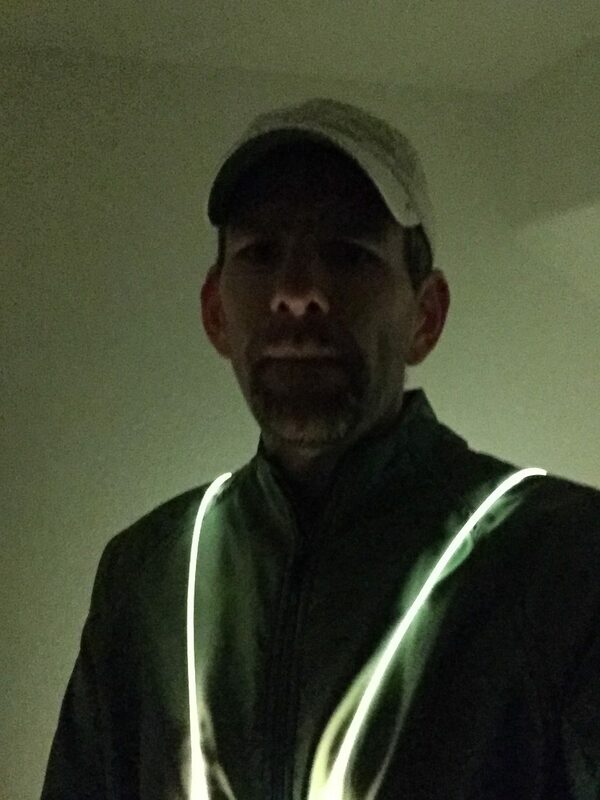 I don’t yet have a feel for if it helps with my general visibility yet; mainly because I don’t see a whole lot of cars in my early morning runs anyway. But I think it helps at intersections; folks tend to disregard stop signs when they think nobody is looking. With the Tracer on, I have folks seem to stop and wait for me clear the intersection. If you’re a dark times runner, check out a Tracer 360 for yourself. The detail in Taylor Mazer’s dark illustrations is eye-melting! Great quotes and amazing lettering. Now, if I could only keep the plant alive.